BUFFALO GROVE, IL (January 2017) – MERMAID HAIR EXTENSIONS in Kirkland, Washington, owned by Cindy Reynolds recently was named to the SALON TODAY 200 by SALON TODAY, the leading business media for salon and spa owners. The magazine honored applicants in 11 different best practice categories, including, Compensation & Benefits, Customer Service, Employee Education, Inventory Management, Philanthropy, Planned Profitability, Retail & Merchandising, Retention & Referral Programs, Salon Culture, Technology and Growth. Mermaid Hair Extensions was honored in the following: Growth. For a salon to be named to the SALON TODAY 200, it had to meet the following criteria: 1) The salon or spa opened on or before January 1, 2014. 2) The salon is a provider of professional salon services including one, or more, of the following: hair care, nail care, skin care, body care or spa treatments; 3) The salon or spa generated annual service and product sales revenues of at least $250,000 per year since 2014; 4) The owner provided statistical information about his or her business and completed at least one of the Best Practice category essay sections; and 5) The applicant submitted documentation to verify financials if he or she competed in the growth or planned profitability categories. In the commemorative January/February 2017 issue, SALON TODAY profiled 200 individual salons, although these salons could be honored in more than one category. 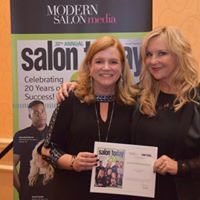 The 2013 SALON TODAY 200 honored 101 salons in Growth; 25 salons in Compensation & Benefits; 42 salons in Customer Service; 42 salons in Employee Education; 36 salons in Inventory Management; 46 salons in Philanthropy; 18 salons in Planned Profitability; 32 salons Retail & Merchandising; 31 salons in Retention & Referral Programs; 50 salons in Salon Culture; and 35 salons in Technology. Hair Extension Salon serving the Eastside and the greater Seattle area with locations in Kirkland and South Lake Union.